” President Donald Trump casts a Stone across Climatic Waters to cause Ripples” – June 2, 2017. 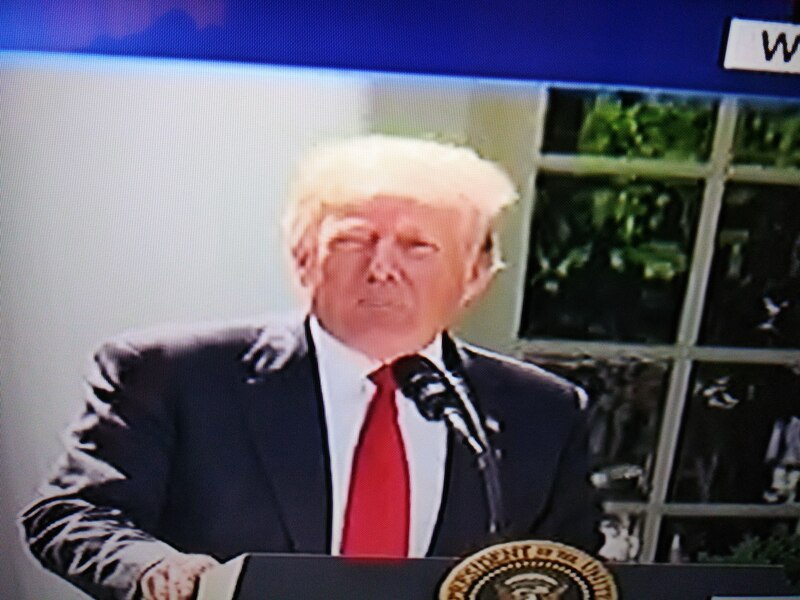 President Donald Trump issuing the Paris Agreement withdrawal statement. ” All countries are together in protecting our Planet” – said President Barack Obama. ” Paris Climate Agreement is historic; it is a turning point focusing not on red lines but on green lines of Cooperation and Compromise” – said Laurent Fabius, French Foreign Minister & President of the Conference (COP 21). ” A choice for your nation is a choice for the humanity in this world” – said François Hollande, French President. ” Solutions to Climatic Change are on the table now; the end is in sight and we’ll finish the job” – said Ban Ki Moon, UN Secretary General. The Paris Climate change Conference (COP 21) lauded in words above by Leaders in December 2015; equated to a game changer in Science (Climate) and Environmental Compromise unseen earlier for more than two decades; online anger and greater awareness of people for the first time playing a major role in Conference achievement; largest group of nations (195) coming face to face with each other for a comprehensive agreement peacefully – all met with the hurdle of non cooperation from a nation most favored to lead the initiatives of combating the Climate change with tech prowess and funds, if not for its heavy contribution to greenhouse gas emissions compelling an ethical responsibility driven by misguided assumptions regarding the accuracy of Science and the commanding inner voice of the Leader (President Donald Trump) in overturning his predecessor’s signature move(s). This seems to make even the disappointing and deficient Copenhagen meet many shades better now. The birth of the Paris Agreement on December 12, 2015; coming into effect in November 2016 with the leeway for individual nations to ratify their commitment and observance through respective national legislative procedures is poked if not jolted by this Trump Act, and the consequences can be anything but easily comprehensible at this point in time. EU (European Leaders), China, and Russia have expressed confidence in the Agreement standing firm without renegotiation. It’ll take time – months/years to gauge the real implications. It occurs to me that President Donald Trump by putting oil through this withdrawal move has kept the lamps of his base burning amidst the swirling election promise(s) in mind. In the process he has also taken the risk of America being relegated from the Leadership role that the world has got accustomed to associate with. America’s loss will be China’s gain. China, for all its uncompromising attitude through the years stands on the cusp of adorning the role of Leadership in this environmentally tempestuous season. This, if comes true, will be the HISTORIC Power Shift of the Millennium. The Cardinal actions proposed in the Paris Climate change Agreement center around : (a) Agreement that Climate change will be limited to a rise of not more than 2°C by the end of the century; (b) Agreement that a $ 100 billion fund/year starting 2020 will be established for the developing nations to take necessary steps of control; (c) Agreement that a plan to review each nation’s pledge to limit the greenhouse gas emissions every five years will be put in place. From an academic and research perspective two aspects will likely be impacted in ‘different’ directions. 1. Advancing the fossil fuels in a “clean and sustainable” manner without totally eliminating the use; 2. Finding new energy development, storage, and use technologies to give more power to power the growth engines of the nations. Many institutions and organizations are engaged in (1) above and what is needed is more government, public, and private engagement to take that to a higher level. It is significant to note here that nearly 25 organizations (CEOs) have written to President Donald Trump to stay with the Paris Agreement even while resolving their independent commitment to do their best to help counter the impact of Climate Change. As for (2) above : more powerful batteries, chargers, home units, rooftop solar systems offering extra lifespan, Alternatively Fueled Vehicles (AFVs), smart gas meters … … … are some of the works already in progress with potential to drive research, manufacturing, and installations the world over. 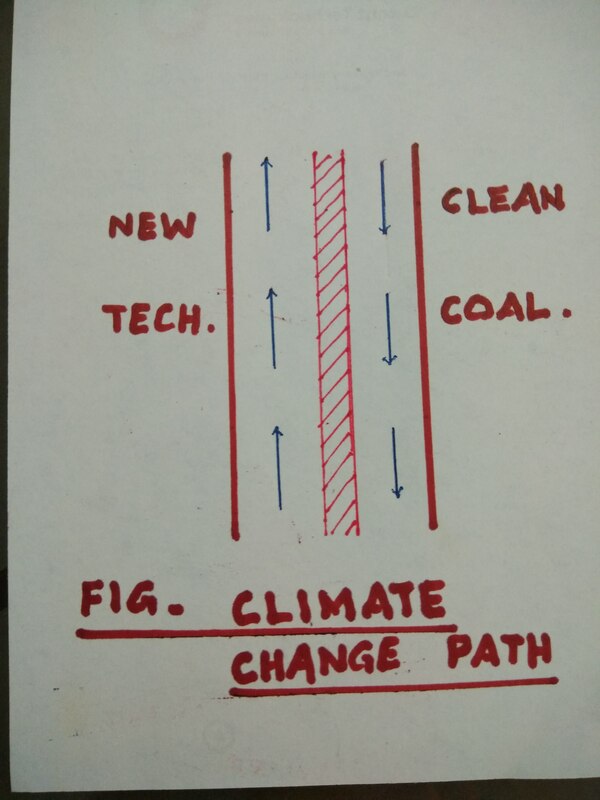 Increasing the effectiveness of operations, faster charging, reducing the cell cost, better anode alternatives in batteries, scaling up for mass production, use of nanotechnology particles for power generation.. are some challenging areas where human ingenuity is already digging deeply. A new group of ‘energy angels’ will emerge to get a stranglehold in this sector. It will not be out of place to attest a scenario where giants like Apple, Amazon, Microsoft, Google, P&G, Johnson & Johnson, Tesla, and many others of their ilk will view to set up Power Companies independently or with joint participation. Also hardware, software, apps, data sciences, airborne services, robots, next generation satellites, in the growing tech sector will boost the connected devices platform enabling and enhancing the delivery of Clean Power around the Globe. Job growth in these will increase multiple times for sure. cooperation among nations to come together for a common cause is the order of the day. Herein lies the strength and leadership of America.